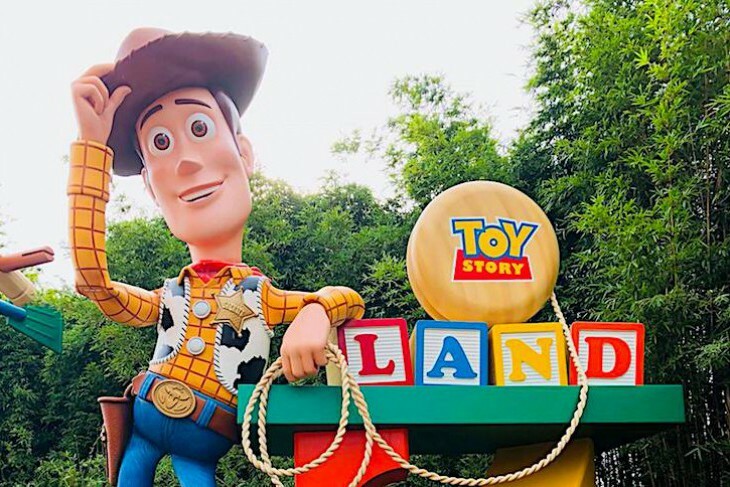 Walt Disney World Resort's newest "land" is one the kids will want to run straight to when entering the park. 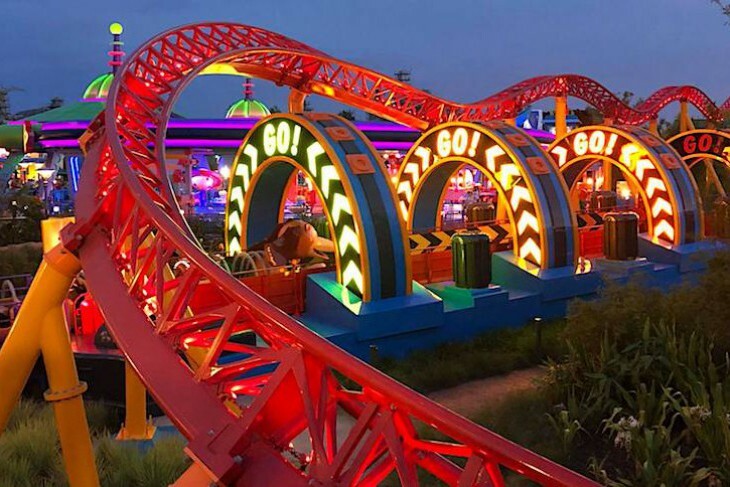 Not only is Toy Story Mania!® still super popular, but now the family-friendly Slinky Dog Dash coaster will be tops on everyone's list. Head here the very first thing in the morning or risk waiting for an awfully long time in line. Blast away at a series of giant-size video screens as you move through game after game, each more fun than the last. 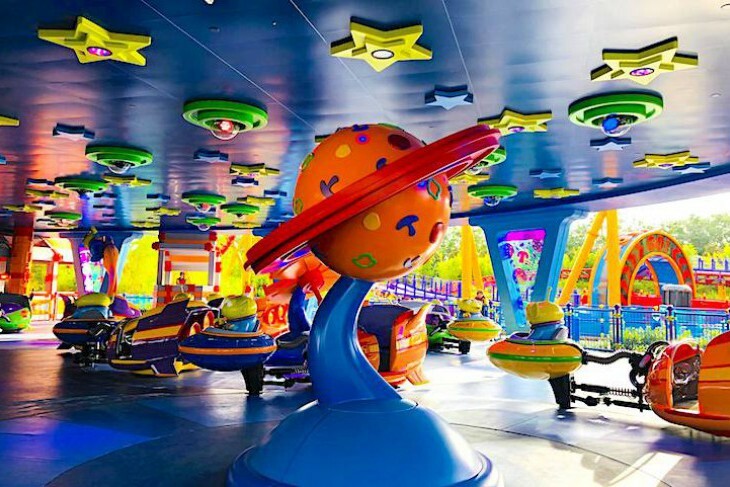 The Aliens have powered up their flying saucers—and they’re ready to spin you on a wild ride into space! Hold on for some wild fun as your toy rocket takes off, all while electronic space music provides an intergalactic soundtrack. 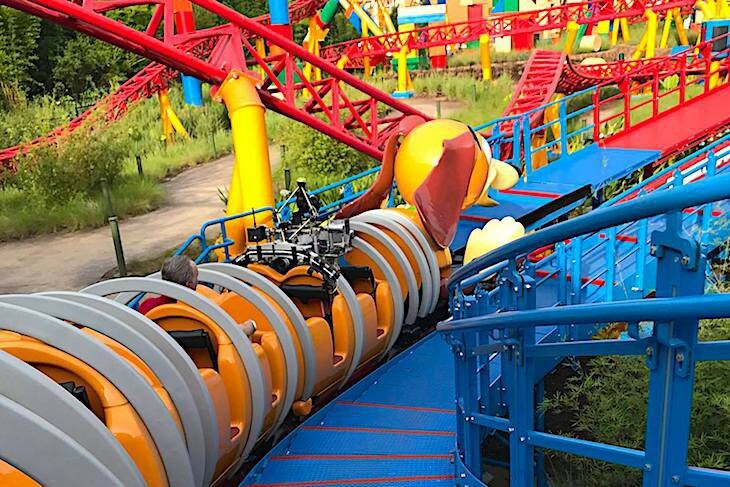 At the park's newest star attraction, Andy has assembled his Mega Coaster Play Kit—and Slinky Dog is gonna take you on a wild, toy-filled adventure. Come along for a roller-coaster-style ride as he bends and twists and stretches his way all throughout this new land. Perfect for the entire family! Walk through “Andy’s bedroom” past oversized Crayolas, checkers, Tinkertoys, and an interactive, Audio-Animatronics Mr. Potato Head boardwalk barker. 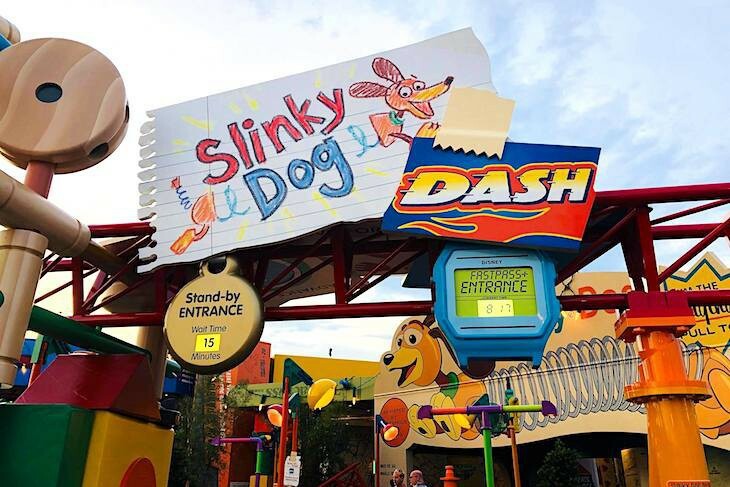 Then don your 3-D glasses before boarding a carnival tram to embark on a 4-D virtual version of midway-style game play. 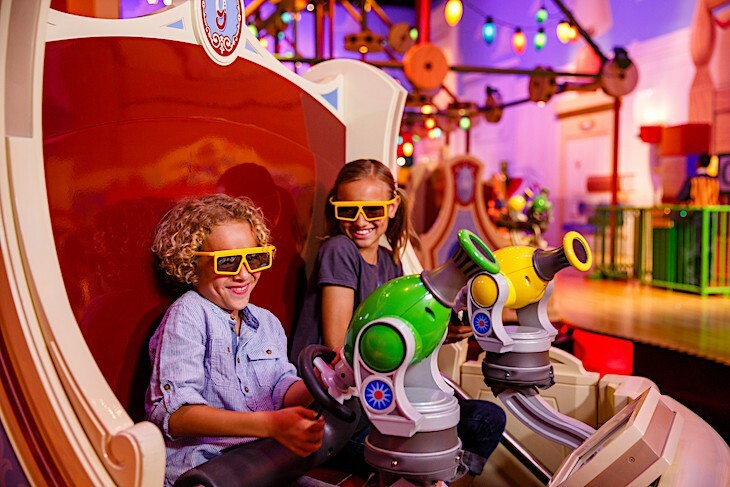 Use your spring-action shooter to plug away at a series of giant-size video screens, each hosted by a member of the Toy Story gang, featuring virtual spinning plates, tossing cream pies, bursting balloons, and funny little green aliens as you zip through game after game, each lasting 30 seconds, each more fun than the last. 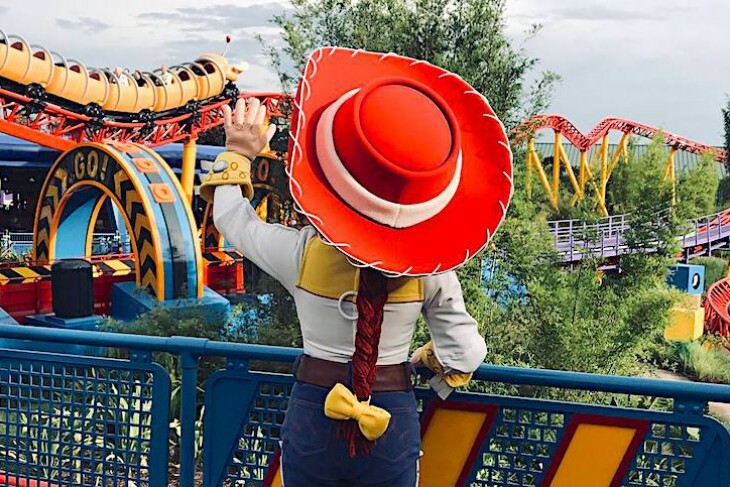 Adding to the entertainment is a 4th dimension of air shots and water spritzers while Toy Story characters yell hints and cheer you along. Watch out for bonus targets and simply have a blast (no pun intended)! 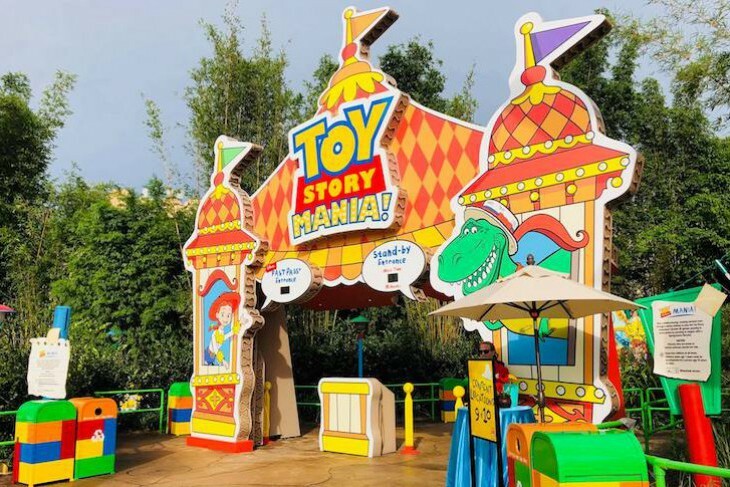 Don’t think this is just another version of the Magic Kingdom’s Buzz Lightyear attraction; you’ll find Toy Story Midway Mania! way more fun.